The word ‘Cheap’ doesn’t signify something of low quality rather it can be spelled as affordable or inexpensive. Here we are talking about cars so though people will feel happy that there are certain cars which won’t burn a hole in their pocket yet they would feel bad if quality wise the car underperforms. In This period, the Cheapest car in the word is Tata Nano. 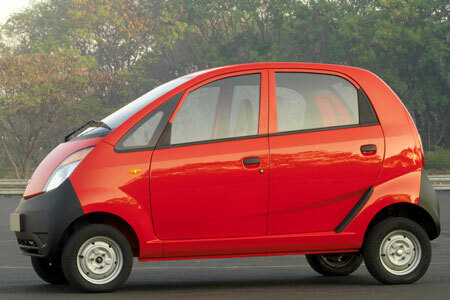 Tata Nano which is manufactured by Tata Motors had already created a buzz long before its launch. It was touted as the cheapest car available on earth. Of course it is (going by the records) and will remain so for sometime before another one dethrones it from that pedestal. Tata Nano made a spectacular entry into the world of automobiles taking the industry by storm. Long queues were seen in front of the booking counters. People had to wait for months before they could lay their hands on this tiny beauty. It created ripples in the western world particularly the developed nations. The Rs one lakh car was created with the vision to enable every household to own a car and this perhaps pinched the rich nations. The launch of Tata Nano created a sort of history in the automobile industry. At a time when high-end motorcycles started sporting a price tag of somewhere around $2000 in a country like India the Nano was offered at $2,497. The cash registers started ringing immediately. This tiny car is not only about price but other factors too. The car was well-planned and everything was indigenous. However there were skeptics who argued (maybe they were true to some extent) that air pollution will increase because many people will be able to afford a car like this.